There's so much to see and do during your visit to Knott's Berry Farm in addition to the park's world-class rides and shows. 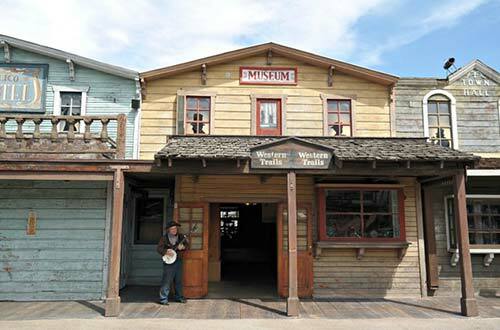 There are one-of-kind experiences located throughout Knott's, including Pan For Gold, the Blacksmith Shop, the Old Schoolhouse, Snoopy/Peanuts Gang Meet & Greet, Western Trails Museum and many more. Travel back in time and experience life as a prospector trying to stake their claim. 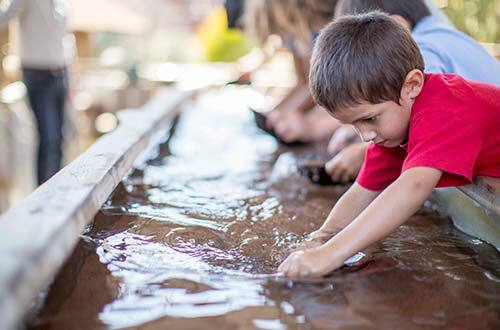 When you arrive at the Pan for Gold area, a Knott’s Gold Prospector will show you the ropes, tell you interesting facts about the gold rush era, and teach you how to pan for gold. A nominal fee is required to pan for gold. 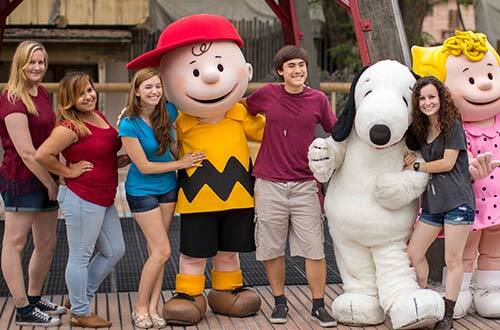 Come meet the Peanuts Gang in their all-new meet and greet location, the Beagle Scout Headquarters. This new interactive location invites guests to meet their favorite characters in an immersive, highly themed setting. No visit to camp is complete without a hug from Snoopy and a photo to capture the memory forever! The Blacksmith has been a fixture of Ghost Town at Knott's Berry Farm since the very beginning. 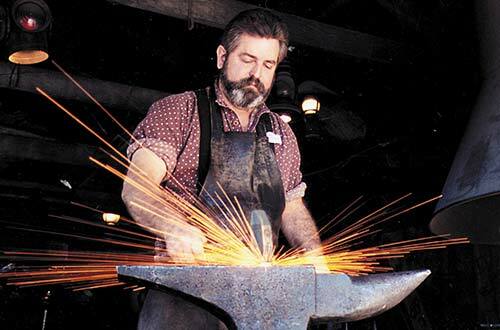 Stop by the Blacksmith's Shop to learn how metal is forged to produce tools, horseshoes, and branding irons. For a nominal fee, take home a handmade horseshoe or other piece of metal art. The Old Schoolhouse in Ghost Town opened in 1879 in Mitchell County, Kansas and served many generations of children until it closed in the 1940’s. Walter Knott brought this authentic one-room schoolhouse to Knott’s Berry Farm in 1952. Class is in session in the one room schoolhouse so come on in and take a seat. The teacher historian will show you what school life was like back then for students and teachers. The Western Trails Museum is just down the street from the Old Schoolhouse. Make sure you stop in, because it is packed full of curiosities and collections from days of old. See American pastimes in the days before television, peek at the Knott’s Memory Corner, and learn a little history. There is so much to see–everything from Old West fashion to antiques to a 100+ year old American Flag. 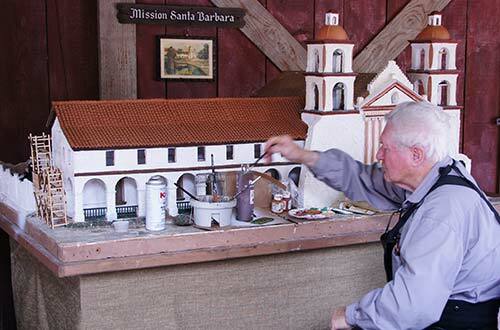 Scaled models of the original California Missions boarder the same midway between Silver Bullet and the south entrance of Fiesta Village, as it did previously for many years. Come meet the friendliest horses in the west. The Livery Stable is nestled in the center of Ghost Town at the end of main street. Here, you can meet and pet the horses of Calico and Brutus the burro. 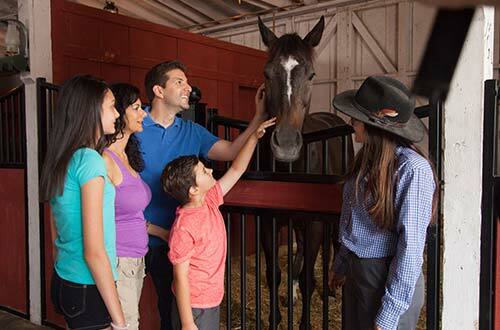 While you’re there, chat with the Knott’s world class equestrian team to learn about the animals. Open seasonally. Is your game face on? 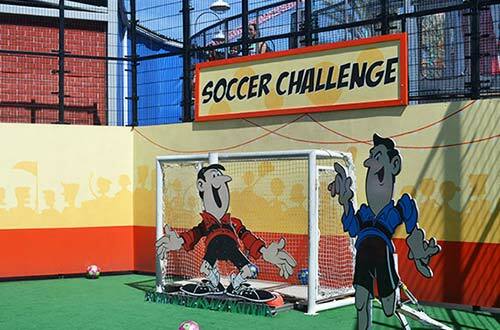 Challenge your family and friends at different interactive games located in Boardwalk and Fiesta Village. There are also sports games featuring baseball, basketball, and soccer. Not a sports fan? No Problem! Boardwalk and Fiesta Village each have and arcade, featuring the latest and most popular games! Additional fees required. Independence Hall is closed on Christmas. Knott’s Independence Hall is an exact, brick-by-brick replica of the original in Philadelphia. Walter Knott’s personal labor of love, it is the nation’s only exact replica of the Philadelphia landmark. Consistent with Walter Knott’s wishes, Knott’s Independence Hall remains a free-admission resource. 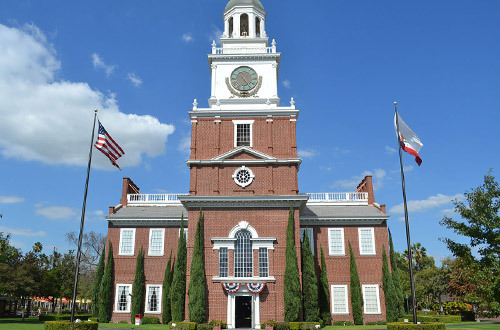 Independence Hall is open from 10 a.m. - 4 p.m and is located outside Knott's Soak City.